Advocates say the rules raise a number of red flags, and could end up causing more confusion than clarity. Food labels help consumers quickly discern whether their food contains gluten, aspartame, high fructose corn syrup, trans-fats, or MSG. This same right to know should be clearly offered for foods that are genetically engineered (“GE” or “GMO”), especially since polls consistently show that Americans overwhelmingly believe they have the right to know if their food is GE, with roughly 90 percent regularly voicing support for mandatory GMO labeling as a result of concerns about health, food safety, and environmental impacts from GE foods. That’s why the U.S. Department of Agriculture’s (USDA) long-awaited proposed regulations for GMO labeling on food are so surprising. Released in May, the regulations come out of a 2016 law signed by President Obama prohibiting existing state GE labeling laws, such as Vermont’s, which required on-package mandatory labeling, and instead created a nationwide standard. Instead of proposing straightforward rules, the 100-page USDA document presents a range of alternatives on a number of key issues, and leaves a handful of questions open for comment, to be decided in the final rule. For many consumers and influencers in the food movement, the federal GE labeling law has offered a ray of hope for transparency about what’s in our food and how it’s produced. After the 2016 law was passed, food journalist Mark Bittman wrote that the law “could stir a revolution” of folks wanting to know more about their food, including whether antibiotics or pesticides were used in the production of those foods. However, for those of us advocating for true transparency of foods produced using genetic engineering, the new USDA rules raise a number of big red flags. Here are the three ways the rules could end up causing more confusion than clarity. 1. They Propose Using “Bioengineered,” and the Acronym BE Instead of “Genetically Engineered” or GMO. The term GMO has been used by farmers, food manufacturers, retailers, and the government for over a decade and is widely familiar to many. The National Organic Program, proposed by the USDA in 2000, excluded the use of GMOs in organic production and handling. 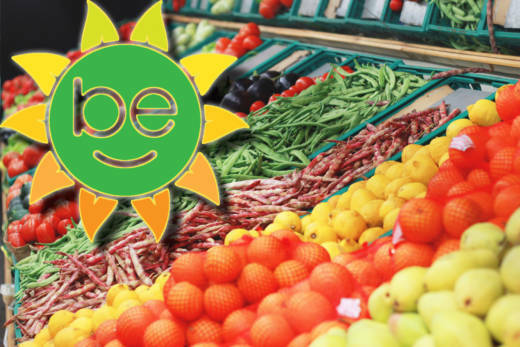 The Non-GMO Project, founded in 2007, tests food products for the presence of GMOs and has certified thousands of food products in the marketplace. The USDA proposes only allowing the term “bioengineered,” or “BE,” on products produced using genetic engineering, and does not allow other more well-known terms—a scenario that would likely confuse many consumers. Government-mandated speech such as food labeling should be presented in a neutral way. The 2016 law requires that for purposes of the regulations, “a bioengineered food … shall not be treated as safer than, or not as safe as, a non-bioengineered counterpart.” Yet the symbols proposed to be used on packaging include an image of a sun, and another that uses the letters BE to create a smiley-face—both project an image that these foods are healthy and beneficial for the environment. 2. They Propose the Use of Digital QR Codes Instead of On-Package Text Labeling. The agency proposes that QR codes (encoded images on a package that must be scanned with a smartphone) be allowed as a substitute for clear, legible language on the package. In 2017, the Center for Food Safety (CFS) forced the public disclosure of the USDA’s own study on the efficacy of this labeling, which showed it would not provide adequate disclosure to millions of Americans. Among other things, the study concluded that consumers are: unfamiliar with QR codes or do not know that digital links contain food information; may not have equipment capable of scanning digital links on their own; may be unable to connect to broadband, or connect at a speed that is so slow that they cannot load information; and that technological challenges disproportionately impact low-income earners, rural residents, and Americans over the age of 65. By not mandating on-package text labeling, the proposed rule discriminates against more than 100 million Americans who do not have adequate access to this technology. 3. It Proposes that Highly Refined Foods such as Oils and Candy be Exempt from Labeling. Another big question left unanswered in the proposed rules is whether or not genetically engineered foods such as cooking oil, candy, and soda will get labeled. These are ingredients that are typically derived from GE crops, but they’ve been processed in such a way that the GE content may or may not be detectable by a genetic test in the final product. This puts labeling on thousands of GE products in question. In addition to these big three issues, the USDA’s proposal also seeks comments on how to deal with newer forms of genetic engineering—such as synthetic biology, gene-editing, and CRISPR—and whether or not to include foods produced using this technology. The USDA will be accepting public comments on the proposed rule until July 3, 2018. This article was originally published on Civil Eats.